International theater chain drills into key moments with remote access to integrated video & reports. Headquartered in Plano, Texas, Cinemark currently operates nearly 500 theaters spanning five countries and displays the latest Hollywood blockbusters on over 5,600 movie screens across North and South America. But being spread across such a large geographic area posed a unique set of challenges: how could they gain in-depth insights into transactions without having to physically travel to specific locations? How would they go from massive amounts of unfiltered, raw video footage to highly targeted, data-driven intelligence? And how could they streamline and accelerate the investigative process behind loss prevention and operations? An unfortunate reality that any retail business understands, especially one with multiple locations, is that loss is something that requires active prevention. Patrick Burns, loss prevention manager for Cinemark USA, has spent many years honing his expertise in loss mitigation, whether a loss is the result of coachable mistakes or intentional theft. Burns had long used video footage in his investigations, but video alone simply wasn’t enough. “Ten years ago, I went into most cases with maybe 50% of questions answered; the other 50% had to be uncovered on-site through questioning and investigative work,” he says. This inefficiency and lack of hard data to back up accusations made it very hard to consistently close cases in a timely manner. Envysion changed the game for Cinemark. According to Burns, one of the challenges in loss prevention is to understand whether any given loss was intentional or an honest mistake. Data is usually the determining factor. “Everything an employee touches from a systems standpoint leaves an electronic signature that we can pull data from and analyze and compare with site and organizational trends.” But until now, that data lived in a vacuum and determining employee intent was nearly impossible, making it hard to know if an employee was due for coaching, kudos or discipline. That’s where Envysion offers a profit-driving advantage. Historically, data was captured independently from video, requiring extensive forensic work to retroactively piece together an accurate view of any given transaction. 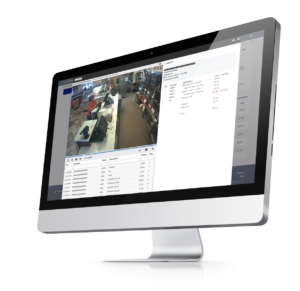 Envysion automates all that work by integrating POS data and leveraging advanced analytics and powerful exception reporting tools to capture every keystroke, every moment—and refine your focus just to the moments that matter. Aside from the obvious tactical challenges associated with managing countless employees across a large number of theaters, there is also the sheer logistical challenge of being displaced across such a large geographic area. Envysion provides Cinemark access to every location every day and with powerful reporting, Cinemark can filter quickly through hours and hours of video to provide instant access to the most important transactions.